Ken Wright Cellars was founded in 1993 and its first vintage was produced in 1994. Prior to creating Ken Wright Cellars, Ken founded Panther Creek Winery in 1986 and made wines there from 1986 through 1994. 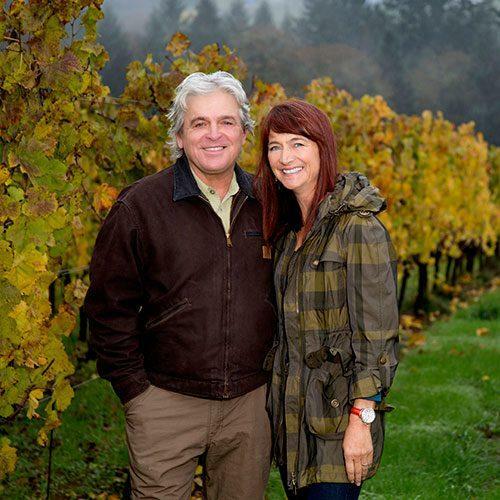 In 1993, Panther creek was purchased by Ron and Linda Kaplan, the current owners. Ken Wright Cellars' first building was an old brick building, a former glove factory, which the winery shared with Domaine Serene Winery. The 1993 through 1996 vintages of Domaine Serene wines were made by Ken Wright Cellars for Domaine Serene. Located in rural Carlton, Oregon, Ken Wright Cellars is devoted to showcasing the inherent quality of selected vineyard sites. With a clarity and breadth that is unequaled by other varieties, the people at Ken Wright cellars believe Pinot noir best expresses the character of these sites. Rather than stamping wine with a varietal trademark, they see Pinot noir as a vehicle for conveying the aroma, flavor and texture of the location in which it is grown.